Bristol Airport has marked the tenth anniversary of its terminal building by unveiling a new brand identity to guide its business over the next decade. The new brand represents ‘people’, ‘place’ and ‘region’ – the three pillars on which the Airport’s success rests – and promises ‘Amazing Journeys Start Here’. Echoing the opening ceremony for the terminal ten years ago, acrobats unfurled giant banners revealing the new look Bristol Airport brand. In front of an audience of passengers and staff, Chief Executive Officer, Robert Sinclair, set out an ambitious vision to serve the South West by delivering an exceptional airport experience, providing more choice, better facilities and greater value for customers. 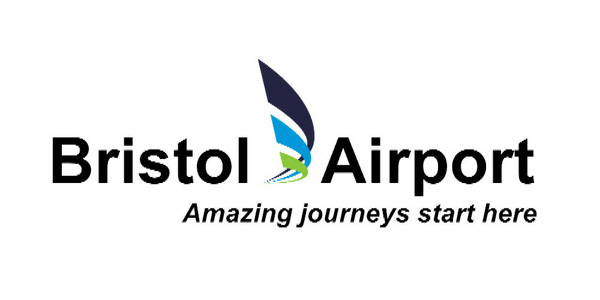 The new brand replaces the ‘Bristol International’ identity which was introduced in 1997. Its objective is to create a clear and compelling vision for the Airport, forging a strong sense of purpose and improving customer service standards. In 2000 the Airport handled 2.2 million passengers and served 50 direct destinations. This year, around six million passengers are expected to pass through the terminal, en route to 114 destinations worldwide or flying in to visit the South West. 2010 will be a year of landmarks at Bristol Airport. The airport celebrates its 80th anniversary in May, while Continental Airlines will mark five years of transatlantic flights from Bristol in the same month. The terminal is expected to handle its 50 millionth passenger towards the end of the year. A number of significant improvements to the airport will also be officially opened over the coming months. These include a 450m long walkway linking the terminal to aircraft stands on the western apron. The walkway will reduce the need for buses to transfer passengers between the terminal building and arriving and departing planes. A state-of-the-art ‘walk through’ tax and duty free store will also open in the spring, with regional products showcased in a ‘Best of the West’ range. A new fleet of buses will also shortly begin operating an improved Flyer service between Bristol and the Airport. Please click here to view the ‚Amazing Journeys‘ video.